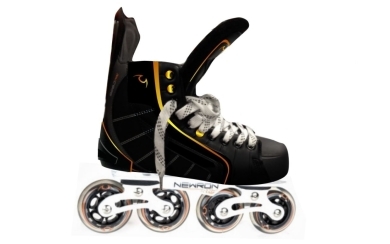 Designed for roller hockey, this frame will give you a flowing freely skating motion similar to ice skating. Designed for speed skating, this frame will provide you with a flowing freely skating motion and a better support on surfaces. We offers the hockey player the same stride on a hard surface as on ice. Perfect transition from hard surfaces to the ice rink. Off ice training system for those who are looking to improve their skating. Developed for safety, this product will allow you to cross over obstacles and imperfections on the road in a more secure way than other products on the market. You want to hike in a more secure way while enjoying the scenic scape. 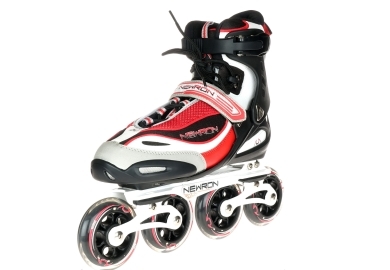 The Newron inline tandem technology is the product you need! It's the feeling to skate as if you were skating on ice, the pivots, skating backwards, the acceleration and the flexibility of the movements. 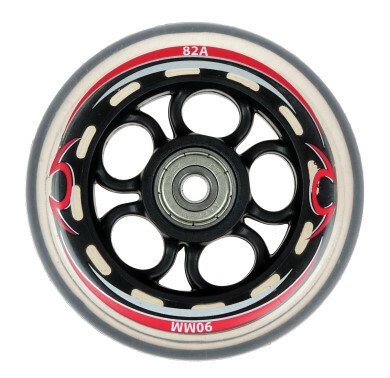 It is the advantages that only Newron inline tandem technology can offer. I wish that this tool had been available in the days I was playing. It will most definitely change and speed up your game. I believe this will revolutionize the inline skating world.